Subject property is located at the southwest corner of Judd Rd and Gary Rd. 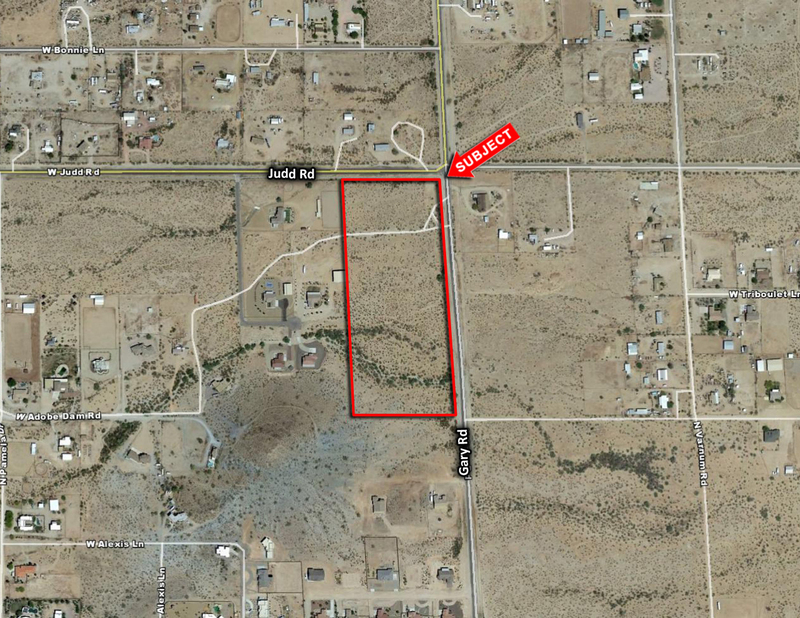 Close proximity to the San Tan Mountain Regional Park. Paved access off Judd Rd and Gary Rd. Electricity is to the site, water lines run along the southern boundary of the property, and is provided by Johnson Utilities. Excellent investment or 1031 exchange.